When Victor Chiu first called me from Vancouver with his idea, it was pretty radical. "I want to write a book on investing using simple everyday English, easy enough for an 8th grader to pick up and read. I want to write to the reader from across a kitchen table." It turns out that he had been taking notes for years, following exactly the steps his mother had been using to steadily accumulate wealth on the stock market. It's worth noting a few things about his mother. She is an immigrant from Hong Kong. She is a housewife who hasn't been in the workforce since immigrating. She has a high school education. This is not the résumé of a Wall Street insider. So why would anybody take advice from her? The concept was simple enough. If she could do it, anybody could do it. So this book would be written for that "anybody". Victor planned to invite readers into Mom's kitchen, and show them exactly how she did it and how they could do it, too. But he didn't know quite where to start. He had the information, he had the ideas, but he needed professional editorial help to better articulate them. I loved the idea. So I was happy to take this on. Given the obvious conflict of interest, I won't tell you what a great book Wall Street Kitchen is, how wonderfully it is written or how cleverly planned it is. But I would like to share with you a few of the most important themes and lessons I learned while helping put the book together. Be an investor, not a trader. This is where so many people fall down. Many people get into the stock market thinking that they can buy quickly, then sell quickly for a profit. Then buy again quickly, and sell again for a profit. Quick sales, quick profits. That's just greed. It's not how the stock market works in real life, despite what you might see in the movies and despite the news reports of those few times when stocks suddenly shoot way up...or way down. Greed is short-term. Investing is long-term. Don't be greedy. Many other people go in without a plan. That is a huge reason for failure. They buy stock that seems good to them after doing some research or reading about a recently successful company. Then they watch the daily rise and fall of their stock. Sooner or later, they read some bad news and sell in a panic. This is probably the worst way to manage a stock portfolio. Failing to stay invested during a crisis is one of the big mistakes people make. In the immortal words on the back of The Hitchhiker's Guide to the Galaxy, don't panic. On the stock market, your panic is a means for other people to profit from your losses. 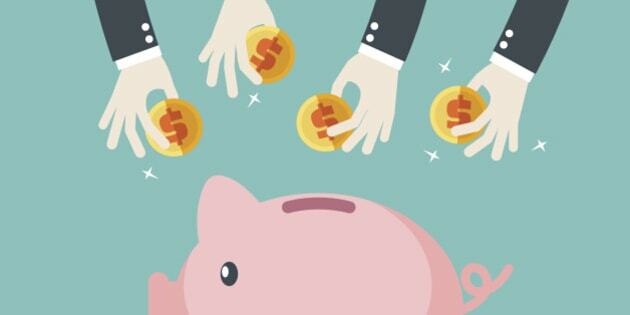 It's an awfully stressful way to make charitable donations to other investors. Panic is short-term. Investing is long term. Don't panic. Go in with a plan. When stock is this low, I'll buy. I will hold that stock until it reaches this level, then I will sell. Then stick to the plan. Stick with tried and true. Still others fall for that infamous "hot tip". Chances are that by the time you've heard about it, that tip isn't so hot anymore. This is a mistake I've made a few times (yes, I didn't learn my lesson the first or second time). Following those hot tips is more like gambling than investing. To invest, look for solid value based on facts. The future is just somebody's predictions. The now is facts. You can't beat the market. You can't time the market. Sorry, but you don't have those super powers. "Almost no one who is operating honestly can maintain a persistent information edge over the millions of other smart investors who comprise "the market." The good news is that the market keeps rising. Even after recessions, if you don't foolishly sell your stock in a panic, your portfolio will quickly recover. But that is only if you stick with tried and true, best-in-class stocks. Start-ups are short-term. Investing is long term. Buy solid companies. If you listen to the media, you'll hear a lot of speculation, a lot of predictions, a lot of fantasy. Ignore it all. Stick to the facts. You don't have any special insider information by listening to the media. All you can get from that is context. Dividends are facts. High-dividend stocks tend to ride out tough times better than low-dividend stocks, and your profit is less speculative. If you want to gamble, that's fine. As with any casino, set aside the budget you can afford to lose. That's your gambling budget. But don't confuse gambling with investing. Gambling is short-term. Investing is long term. Don't gamble. 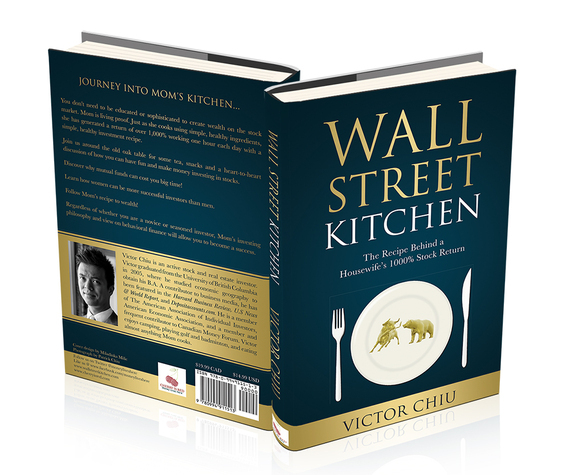 These are the key points I picked up helping Victor write Wall Street Kitchen. If you want more details, you'll have to get your own copy. I did write a short overview on my own blog, with an excerpt to give you a sense of how it is written. Cover image: with permission from Victor Chiu. Disclosure: I was paid to help put the book together. I was not paid to write this review.